Using AccuLift to target and reduce excess volume along with the ability to add volume in areas that are hollow gives the surgeon unprecedented control over facial contouring outcomes, including avoidance of over-filled face. J. David Holcomb, M.D. has been the driving force in establishing Holcomb – Kreithen Plastic Surgery and MedSpa, PLLC (“Holcomb – Kreithen” or “HKPS”) as a thriving Sarasota-based business and one of the leading plastic surgery practices in the country. However, what many of his satisfied patients may not be aware of is the important leadership role Dr. Holcomb has played in introducing many of the very laser assisted techniques and technologies that are literally shaping the “new face” in facial plastic and cosmetic surgery. These laser-assisted techniques and technologies have helped pave the way to beautiful, natural results with reduced downtime, less discomfort and lower cost for patients. As the popularity of cosmetic surgery surged in the new millennium, Dr. Holcomb was on the front lines of advances in surgical tools and laser techniques. After several years of research and development, he co-created AccuLift™, the first laser-assisted facial contouring procedure. AccuLift™ is a minimally-invasive, one-time procedure that can be performed in approximately 30 minutes using local anesthesia. It targets the descended fatty tissue that accumulates in the midface, along the jawline and under the chin as people age. The ability of AccuLift™ to restore a more youthful jaw, neckline and facial shape has made it one of the most effective minimally-invasive laser procedures available. In addition to receiving numerous professional accolades for it, Dr. Holcomb also introduced the procedure on CBS’ award-winning television show “The Doctors” several years ago. Dr. Holcomb is quick to point out that AccuLift™ is essentially the opposite of filler injections. “Using AccuLift™ to target and reduce excess volume along with the ability to add volume in areas that are hollow (injectable fillers, fat grafting, facial implants) gives the surgeon unprecedented control over facial contouring outcomes, including avoidance of the over-filled face,” he states. Building on his groundbreaking work with AccuLift™, Dr. Holcomb has also introduced another major technical advancement to the industry—the Laser-Assisted Facelift. This innovation applied AccuLift™ face and neck contouring technology to traditional facelift surgery. Among the many benefits this new approach have enabled are easier removal of excess fatty tissue and with smaller instruments, generally reduced bruising and swelling, and potential avoidance of having to do extensive open surgery in the jaw and neck. Dr. Holcomb’s peer reviewed study of the benefits of the Laser Assisted Facelift procedure was published in the journal Facial Plastic Surgery – Facets of Facelifting edition in August 2014. 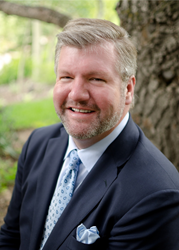 Some of Dr. Holcomb’s other interests include laser skin rejuvenation, patient safety (he serves on claims and risk management committees and as Vice President of Doctors’ ARMOR by Physicians Indemnity, a growing physician self-insurance program) and incorporating advances in skin and tissue healing into his practice so that his patients can recover as quickly as possible. As a double board certified specialist in facial plastic and cosmetic laser surgery, his areas of expertise include facelifts, rhinoplasty, laser resurfacing, brow lifts, eyelid surgery, neck contouring, otoplasty and Mohs skin cancer reconstruction. Among his extensive commendations, Dr. Holcomb is recognized as a “Castle Connolly Regional Top Doctor” for the specialty of Plastic Surgery (cosmetic and reconstructive facial surgery, and laser surgery). He is also a consultant to companies including Bovie Medical Corporation, and was selected as a principal Investigator for an upcoming Phase 3 FDA clinical study evaluating a new neuromodulator. Dr. Holcomb’s full credentials can be viewed at this link. Still, for all his impressive professional achievements over his 20-year surgical career, Dr. Holcomb emphasizes that the most rewarding part of his job is helping people feel better about themselves. “My desire is to help people reach their full potential by assisting them to overcome obstacles that hinder them physically and emotionally,” he says. It is Dr. Holcomb’s goal to make sure each of his patients is completely confident in the superior level of skill, professionalism and attention they will receive while in his care. To schedule a consultation with Dr. Holcomb to discuss any of the above procedures, please call 941-365-8679. Located in beautiful downtown Sarasota, Holcomb – Kreithen Plastic Surgery and MedSpa offers a comprehensive range of aesthetic surgical and non-surgical treatments that enhance the lives of men and women. The founding physicians of the practice include J. David Holcomb, M.D. (Facial Plastic and Cosmetic Laser Surgeon) and Joshua Kreithen, M.D. (Breast and Body Contouring Specialist). Holcomb – Kreithen Plastic Surgery and MedSpa is renowned for its expertise in facial plastic surgery, plastic surgery of the breasts and body, cosmetic laser surgery, non-surgical aesthetics and medical skin care. The AAAASF-accredited facility includes a private outpatient ambulatory surgical center. With its advanced laser center, the MedSpa offers numerous options for skin rejuvenation and minimally-invasive and non-surgical contouring of the face and body. The Holcomb – Kreithen Plastic Surgery and MedSpa staff is comprised of an extraordinary group of professionals whose primary goal is to safely empower individuals to reach their full potential. They are committed to treating patients and each other with kindness, compassion and dignity at all times. For more information, visit http://www.sarasota-med.com.